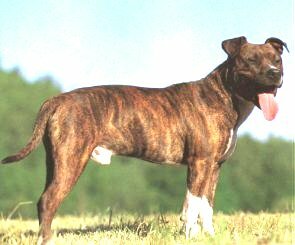 The Staffordshire bulls are known for their great strength because of their sizes. Their variety is muscular and stocky but is also known for their agility. Surprisingly, this breed is one of the two breeds recognized by the UK Kennel Club as very suitable for children. Furthermore, their types ranked 5th when it comes to dog popularity in the UK, where the breed originated. Interestingly, Staffies are the only breed of dog that are "totally reliable" when it comes to standard of breed. • Rub down their coat with a chamois or towel to remove hairs that are loose. The Staffordshire bull terriers, also known as the Staffies, are known to have existed around the 17th century. 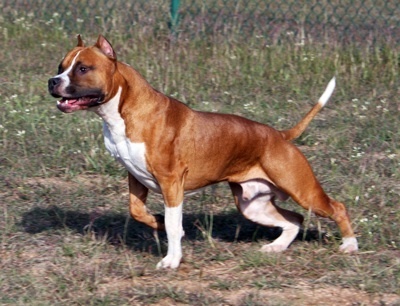 Since dog fighting gained a surge of popularity over bull baiting, it became a must to develop a breed of dog that is agile, strong, and has a more punishing head than the Bulldog. In this light, fighting Bulldogs of that time were crossed with some terrier blood. 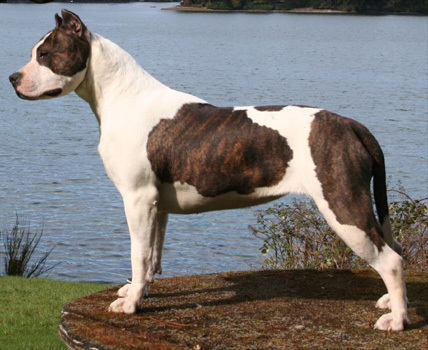 The hybrid was known as the Pit Dog or the Bull and Terrier. The new cross breed became well known for their tenacity and courage, and despite their reputation of being furious with other animals they were excellent companions especially with children. The Staffie pit dog became a favorite of steelworkers and miners alike. The breed also provided chain makers of the "Black Country" with extra income when worked against ratters or badgers. The Stafford bull terrier, yes, has become a popular pet while still retaining reputations gained through generations of fighting dogs bred for tenacity, courage, agility, and most importantly, its reliability and great affinity with people especially with children. And today you can say that the bull is not so bully after all! In fact, the bull is totally reliable as children's pets.